In Sept. 2013, Governor Chris Christie signed into law a bill that eased some of the barriers that kept children from participating in New Jersey’s medical marijuana program. The new law allowed dispensaries to offer edible marijuana products to minors, but stipulated that the edible products could only be offered to children. The Legislature also had initially sought a change that would allow parents to seek medical marijuana for their children after obtaining permission from only one physician. Christie vetoed that aspect of the proposed bill. So parents must still get permission from a physician and a psychiatrist in order to receive medical marijuana treatment for their children. The new law also gave the green light for marijuana growers to cultivate as many strains of marijuana as they wanted. Before, growers had been limited to three strains of the plant. Despite the easing of some aspects of how medical marijuana is dispensed in New Jersey, some patients are complaining that they are having a tough time getting the drug. According to NJ.com, patients are complaining the program is too bureaucratic and too expensive. Patient advocates and one dispensary owner recently told a state legislative committee that few doctors are willing to participate in the program. A spokesman for the advocacy group Coalition for Medical Marijuana of New Jersey told the committee that aspects of the current law are still unwieldy. 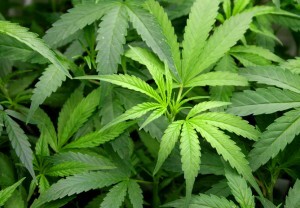 For instance, the law still doesn’t give adult patients access to edible medical marijuana; caregivers are allowed to retrieve marijuana for patients, but only if a $200 fee is paid and the caregiver passes a background check and is fingerprinted; dispensaries are not allowed to make deliveries to immobilized or incapacitated patients; and the state mandates that patients have their participation re-authorized by a physician every 90 days. Assembly Reed Gusciora (D-Mercer) said that he would like to improve the program, either through negotiation or legislation. Christie said last year that he was done extending the program because he fears it will lead to legalization of marijuana in New Jersey. The attorneys at Lubiner, Schmidt & Palumbo, LLC in New Jersey will be following this story as it develops. Will changes to the current medical marijuana program actually lead to legalization in New Jersey? We will explore the arguments of proponents and opponents of legalization in a future blog. The landscape of New Jersey law is constantly changing and evolving. That is why it is essential that you contact Lubiner, Schmidt & Palumbo if you have questions about your legal rights. Call us toll-free at (844)-288-7978 or contact us online to set up a consultation.